Why not just put a propeller on it instead? a CVT would be pretty funny on this thing. i can't imagine what the fuel consumption would be running full tilt like that. it's going to be bad enough already, 23galons may last us 1hr if we are lucky. I seriously doubt the judges would allow that. I tell you one thing, this is going to have some CRAZY awesome exhaust headers, that's for sure! I look forward to seeing this happen—here's my vote of confidence! I just hope you are on the east coast so I get to see this in person. Team Cardorks: #901 Amtrack E36 / # 902 Philly E30 / #903 Integra TypeArrr! yeah, that's where i'm happy the judges are saying it's exempt from BS laps, i'll whip up a bling custom 5-1 header. probably stainless all TIG welded by me. hehe, I told you I was gonna find one of these The price was fantastic, and it was less than 1hr drive away from here. I'm located in Fort Wayne, IN and we're going to make the "Rod Blagojevich Never-Say-Die 500" near Chicago with this beast. as an added bonus, it'll be street legal and registered. I love living in Indiana! yeah, i don't understand what that guy was getting at. keep in mind, i design automotive software for a living. the EFI conversion is the easiest part of this for me. plus it's the only hope i have of drivability with this thing. do i need a disclaimer? Another reason to make sure to get my car done and entered. I really want to hear that beast on the track. They were used in APCs, shermans and DUKWs ( semi armored tank like vehicles ) with a mid sized fan mounted on front ahead of the power drive to the transmission. For higher tork CVT applications, large hydrostat transmission systems are out there. But they tend to be heavy and mechanically inefficient. Perfect for use with a radial turning a steady 2000RPM. Edit: Yeah, what heckler said above. Its a cool idea, but fuel injection is not going to be easy. The air race guys are still having issues with fuel injection on radials. By the way, radial engines are not like your typical engine. They are more like a swiss watch. Yes this is a simple one, but that just means there are less pieces. There are all kinds of gears that drive the propshaft, its not directly connected to the crank. Now, if you wanted to get REALLY creative, you could see if you could change the reduction gears in the nose case (the part that the prop shaft is attached to) You could speed up the prop shaft for a given rpm. Remember this thing is going to make lots (compared to a car engine) of torque. The other issue with radial engines is oil. They are dry sump, and if you let them sit you have to pull the engine though by hand to clear the oil out of the lower cylinder(s) before you try to start it otherwise you run the fairly high risk of bending a rod. (If you are really unlucky, you bend the master rod and then the whole thing is junk) The way to tell your radial engine has run out of oil, is if its quit dripping it. If you look at pretty much any radial engine, you will notice the area behind the engine has anywhere from a light sheen of oil to dripping with it (common with a Wright R3350) its what they do. Cool as it is, I'd sell it off to someone with a PT22. There aren't a whole lot of these engine left and it would be ashame to ruin one that could be rebuilt. I'm not being a hater, I'm just a huge fan of radial engines and I know some of there ins and outs. I've pulled a Pratt and Whitney R985 out of a crop duster apart and the first thought that crossed my mind was "oh my god what have I gotten myself into?" I seriously thought I'd opened Pandora's box. Lucky for me, the aircraft mechanic I was working for at the time knew what he was doing. Ah, I was wondering when the "you can't" and the "oh noes it's a collector's item" messages would show up. I did quite a bit of research before settling on this one. and the reason i selected this exact engine to cover those "issues"
"the engine is too complicated"
-no prop reduction drive. the shaft out the front is the crankshaft. "it should be in a plane"
-it's power to weight ratio is quite terrible compared to many other radials out there, you'd have to be restoring a p22 to want one of these. plus, way too many collectors are more "hoarders" then collectors. I've seen too many so called collectors improperly store things just to have them rot away because they want to keep them. Finally, I'm not going to be making any modifications to this engine that aren't reversible. i'm going to use existing bolt locations to attach everything. when i'm done with it i do not plan on just throwing it out. i'll get a few races out of it and sell it. on the CVT idea, i'm not going that way because i don't think there is a CVT out there that will handle the torque from this motor combined with the abuse of racing. plus, i hate automatics. I really like the suggestion of hydraulic drive. Couple a big hydraulic motor to the bellhousing of whatever you are working on, and run the stock flywheel and clutch. The radial can stay at one steady rpm range, and you can throttle with the hydraulic valve. As an added bonus you get a driveline that can turn just as fast in reverse as it does forward without any complaints. When you tire of it give me a buzz. 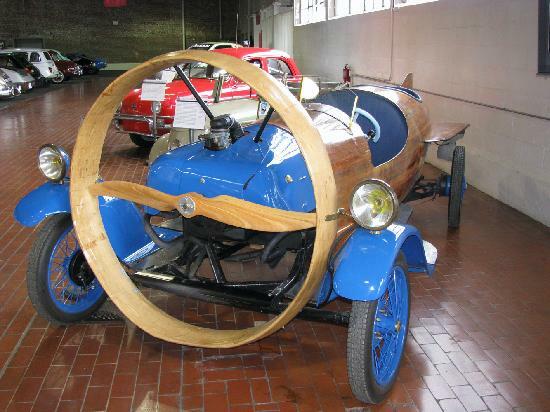 I might be interested, I've always thought that plant would look good in the nose of a homebuilt Piet-style ride. wikipedia has a page for this engine. Lots of interesting data. Like "73 octane" fuel. Which means you should be able to up the compression ratio and get more Hp out of it!! Or Turbo charge it. Oh yeah and 5.50:1 compression ratio. that's why it can run off 73 octane fuel. Definitely turbo charge..
You know, a draw through turbo system (other than the issue of fuel pooling in turns and such) seems like a decent way to get a few problems figured out in one solution. Actually, a carb would be simplest, though I guess if you are in the feild you can map efi then that would be cool. Maybe throttle body injection? I'm not doing a hydraulic drive. you'd need a 30-40 gallon reservoir for a system like this and some massive coolers. there's no way you could race it. hydrostatic drives are for mowers and earth moving equipment. great for high torque low RPM. the fuel injection will be port injection and synchronized to the valve openings to prevent any serious fuel pooling and the wallwetting issues involved with such long intake runners. and yes, I'm fully aware that this motor would really like some boost. but we'll worry about that for the 2nd race. keeping it simple for the first build.